After the second day of TEDActive 2014, words fail me. My head is full of too many great talks and too many interesting conversations. There is no way I can adequately describe all that happened, but I'll try to give some highlights. Outside the hotel, it is beautiful, though that is merely the backdrop for the full slate of talks that ranged from OK to great. Generally, however, more of them were closer to great than OK. The problem is that with so many great talks and so little time to write this entry, I don't know which ones to write about. Here are some of the highlights of the day. Bran Ferren talked compellingly about the combination of engineering and art in the Pantheon in Rome. (Note to self, visit it the next time I'm in Rome!) Marc Kushner presented some very interesting perspectives on the recent evolution in architecture. Michel Laberge spoke convincingly (and somewhat humorously) about his work at General Fusion on a fusion reactor. Amanda Burden discussed the importance of parks and public spaces in cities and summarized things by saying, "Cities are like parks, people stay because they are having a good time." Matthew Carter, the creator of Microsoft's Georgia and Verdana fonts, described the development of computer fonts which I was fascinated by as I played with Metafont about 30 years ago. David Kwong, a magician and NY Times crossword puzzle contributor, did an amazing magic trick. He had a woman choose random colors that he could not see to color in a set of animals on a page. He then went through a series of steps which ultimately led to the same combinations of animals and colors appearing in the day's NY Times crossword puzzle which he had authored. The woman sitting next to me had the paper and we confirmed that was indeed the case. I have my theories about how he did this, but it was fun to watch. chatting about the future of the Internet. The best talk was probably a conversation between Chris Anderson and Edwin Snowden. 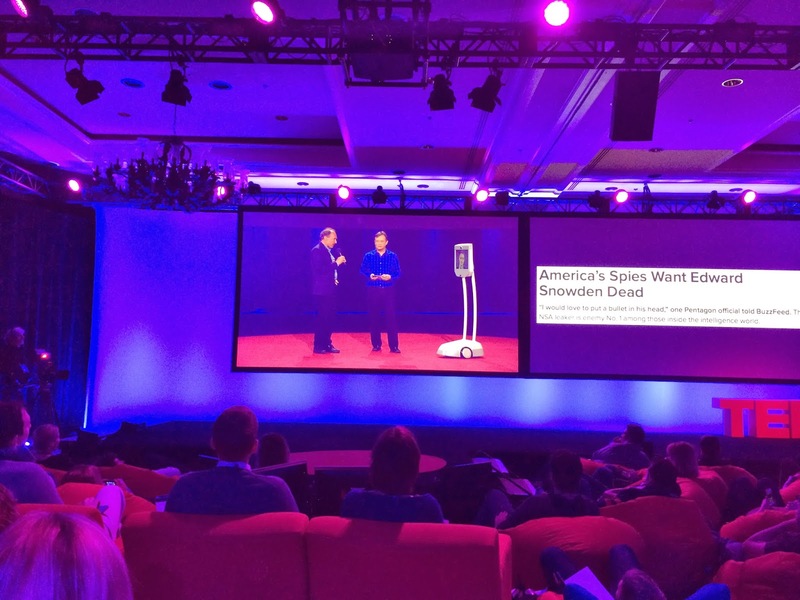 As Snowden is currently hiding in Russia, he attended via a remote presence robot. The technology itself was cool to see and my understanding is that Snowden really enjoyed the ability to look around and be at least somewhat back in North America. The talk is already posted and is well worth watching. It was quite a coup for TED to have arranged the whole thing, especially given the necessary secrecy and security. I am familiar with the many news stories covering the information that Snowden has leaked through a number of press outlets regarding the NSA's extensive surveillance efforts. What I was surprised about was how articulate Snowden was. I came away respecting what he has done and wondering whether I would have similar courage in my convictions. 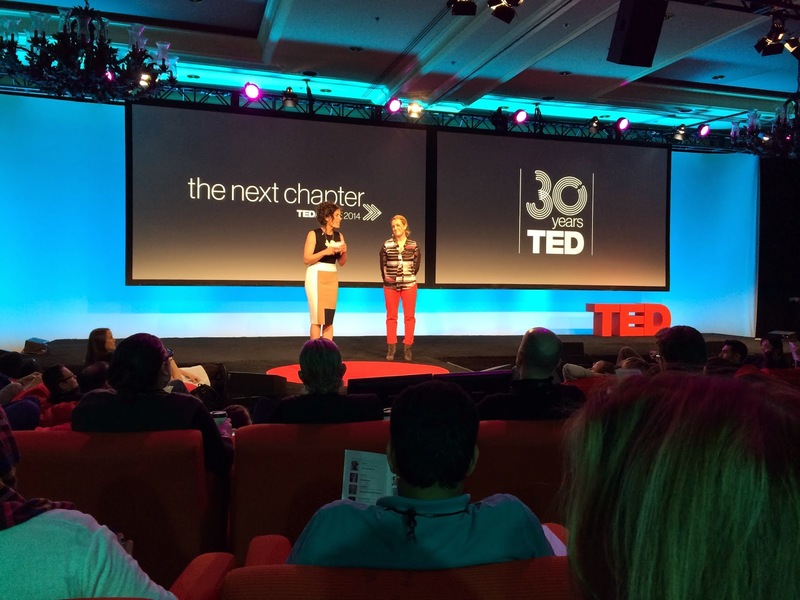 There were two afternoon sessions for speakers at TEDActive. The first was called TEDYou and was about ten 6-minute talks. They ranged from advances in battling cancer to a video of a pod of killer whales attacking a blue whale to a description of a carbon fiber sitar. None of them were great, but they were all enjoyable. I particularly enjoyed Jill Sobule's song about having to wear orthopedic shoes as a child. While I definitely identified with that, what made the song was her mom being on stage to sing her rebuttal/reasoning for the shoes. Kelly (one of the TEDActive co-hosts) and her mom joined in for the chorus. The second TEDActive session was five speakers giving more traditional TED talks from the TEDActive stage. They were all interesting and very good, worthy of the main TED stage. The one that particularly touched me was an intricate story by Rives (the other TEDActive co-host) about how his silly observation of the prevalence of references to 4:00am reluctantly grew into a hobby and then into a project. And, how it ultimately wrapped back around and connected him to a poignant moment in his past. It was amazingly well done. The afternoon session on the main TED stage included a very good interview with Bill and Melinda Gates. Among the many interesting things they discussed, Bill Gates said, "I want my kids to be able to do anything, but not have enough money to do nothing." Next, the TED Prize winner (Charmian Gooch) told of her wish to eliminate anonymous corporations. This was an issue I knew nothing about, but now strongly believe is a problem that needs to be solved. Her talk is now online so you can learn more about the issue yourself. The day's talks wrapped up with a musical performance by Sting. He did a solo performance of a number of songs from his new musical about his childhood growing up in the shadow of a major shipyard. He finished with an encore of Message in a Bottle with the whole audience singing along. It was a perfect ending to a long day of sessions. The day was not over, however. Instead, we went to dinner at one of a few different restaurants at Aspen. Mine was at the Garibaldi Lift Co. Bar & Grill. 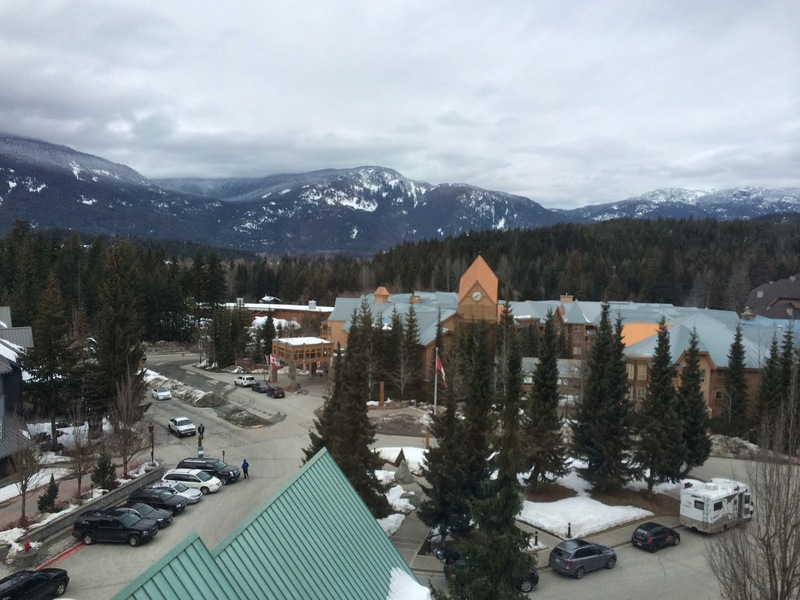 The place had a typical ski resort rustic lodge feel about it. The food was good, but that was not the point of the evening. The only customers were from TEDActive and the goal was to mingle. At my table, I spoke with a couple from Montana involved in biomimicry (one of them was one of the TEDActive speakers), a young female student from Kosovo attending on a grant from the Bill & Melinda Gates Foundation, a man from Tokyo who had organized a TEDx for kids, and a TEDx organizer from China. The conversation covered everything from the dangers of trying to help with the TED Prize Wish to martial arts to working in the family business to salsa dancing and pretty much everything in between. As I put the finishing touches on this entry, the next day is about to begin. I'm just not sure where to find room in my shrinking brain for anything more.